Limited edition double 10inch on gatefold sleeve. Gonjasufi, Daedalus & Samiyam join William Benjamin Bensussen a.k.a. 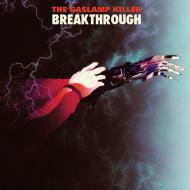 The Gaslamp Killer on his debut longplayer for Brainfeeder!